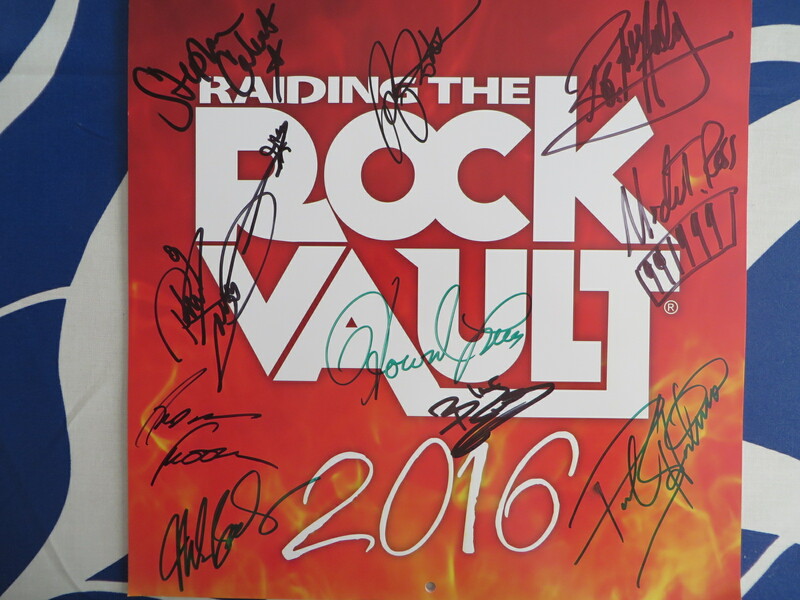 Raiding the Rock Vault 2016 calendar autographed in black or green marker by the entire band including Mark Boals, Andrew Freeman, Howard Leese, Robin McAuley, Michael Ross, Paul Shortino, Stephanie Calvert, Blas Elias, Hugh McDonald and Rowan Robertson. 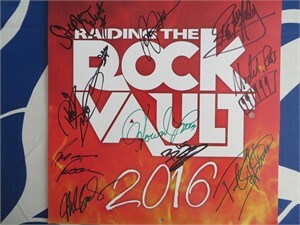 Several of the musicians also autographed inside pages. Obtained in person, with certificate of authenticity from AutographsForSale.com. ONLY ONE AVAILABLE FOR SALE.